Over the decades, beautiful ’40s and ’50s glamor models and actresses have graced posters in beautiful clothing, and have inspired many contemporary art forms and people to recreate the sensual, luscious quality of Pin-up girls. 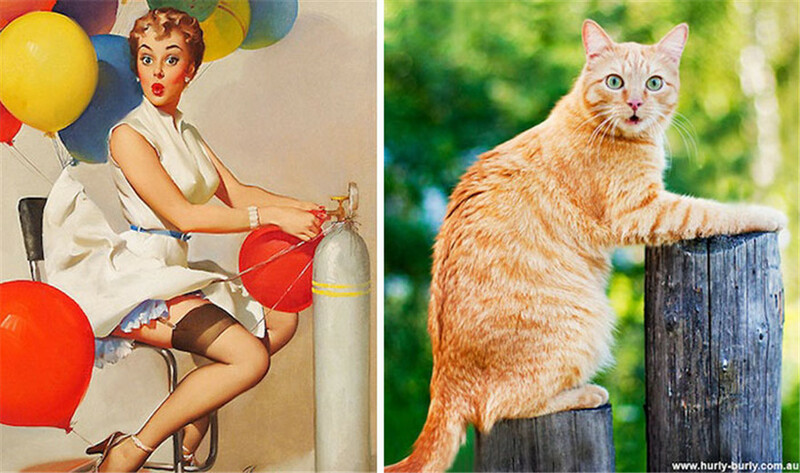 Artist Rachael Aslett’s Pin-up girl-inspired online project has taken the Internet by storm, capturing an entirely different audience…The Tumblr blog ‘Cats That Look Like Pin-Up Girls’, put together by the folks at Australian clothing store Hurly-Burly, features a series of cats striking poses remarkably similar to those of the cheese cake pin-up models they’ve unknowingly emulated. 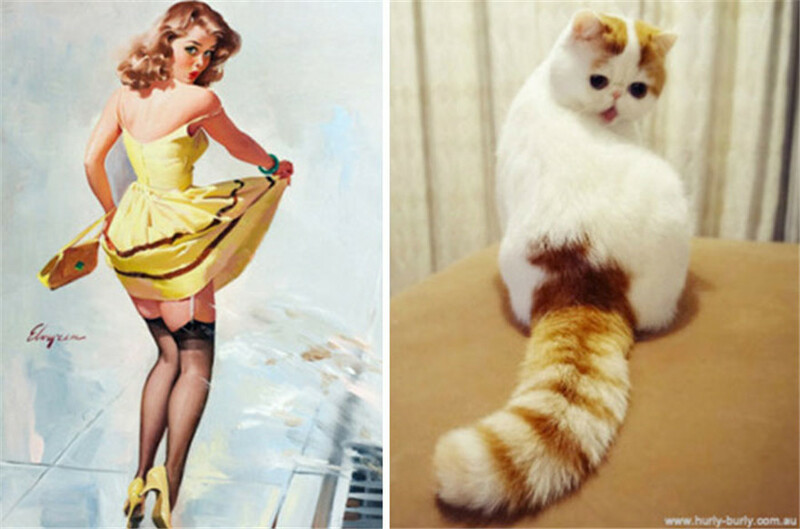 The premise is simple – find a picture of a beautiful pinup, and then find a picture of a cute cat that matches it (or the other way around). Scroll further to see these incredible “cat Pin-up girls,” and let us know what you think of them in the comments below! Girls’ GenerationHuang Chutong is known for her soft, dreamy portraits of young girls balancing on that line between girlhood and womanhood. The beautifully true and the truly beautifulEvery moment in life is a beautiful story, and documentary photography reveals this beauty by presenting real life. The Atlas of Beauty"When entering North Korea you step in a different world. You already know that you will see huge monuments, statues and communist celebrations but you almost know nothing about North Korean women."